Origin Energy has received $2 million in funding from ARENA to assess the feasibility of expanding the Shoalhaven Pumped Hydro Scheme. 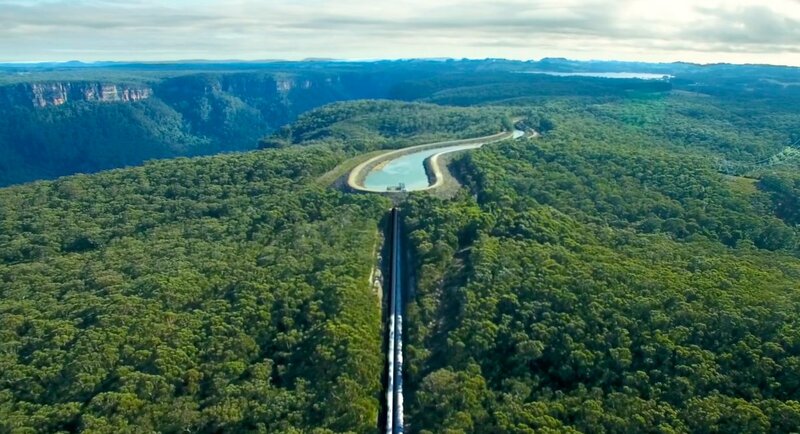 Located 150 kilometres south of Sydney, the Shoalhaven Pumped Hydro Storage Scheme currently consists of two pumped storage hydropower stations at Kangaroo Valley and Bendeela. Origin, which already undertook pre-feasibility work on three potential design options for expanding the scheme, said the $6.8 million study will be based on the preferred option, which involves examining the viability of bypassing the Kangaroo Valley Power Station and instead pumping water from Lake Yarrunga to Fitzroy Falls Reservoir. This option includes building a 235 MW underground power station that would take advantage of the longer water head available, resulting in a higher output and efficiency. If successful, the project would nearly double the capacity from the existing 240MW to 475MW. “The potential expansion of this scheme would provide more electricity over a shorter period so Origin can deliver capacity when needed – when demand is high or when renewable output is low,” said ARENA CEO Darren Miller. “The findings of this study at Shoalhaven will help provide key understandings that can be applied to other hydro energy projects ARENA has supported such as Snowy 2.0, Hydro Tasmania’s Battery of the Nation initiatives, Kidston in Queensland, Cultana and the Iron Duchess in South Australia. Origin executive general manager energy supply and operations Greg Jarvis said the full feasibility study is expected to be completed in 2019. “Shoalhaven is in the unique position of having much of the required infrastructure needed for expansion already in place. This means it can be developed with less community and environmental impacts and in a shorter timeframe compared to developing the same amount of additional capacity as a greenfields project,” Mr Jarvis continued.